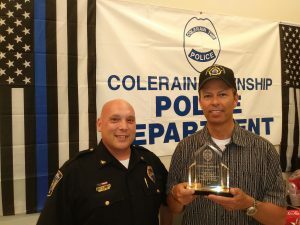 Chief Mark Denney and Officer Steve Karwish of the Colerain Township Police Dept. 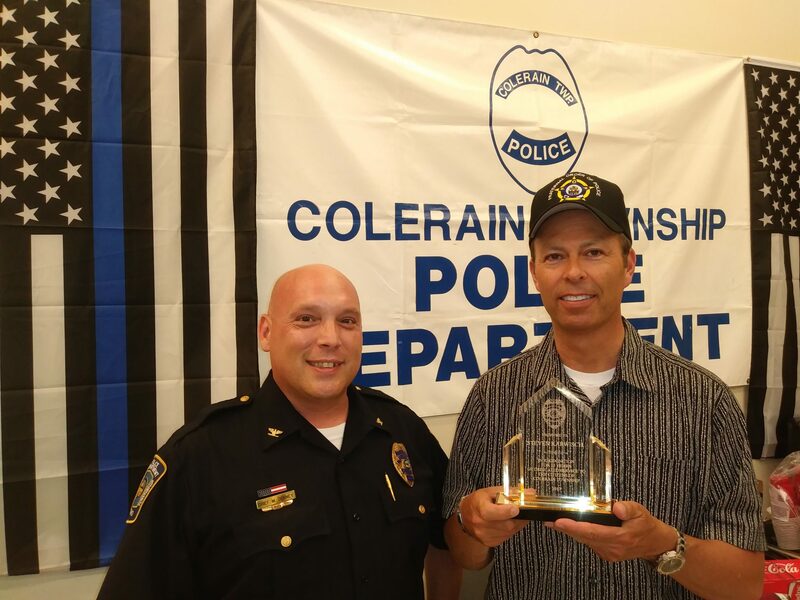 At the August 21, 2018 meeting of FOP Lodge 113 our Lodge Treasurer, Steve Karwish, was given an award for 25 years of service by Chief Mark Denney of the Colerain Township Police Department. Congratulations to Brother Karwish as he continues to serve our Lodge and the Colerain Township community!